The walk of righteousness – that faithful habit of living a life that God approves of – is the goal (or should be) of every Christian. We are commanded and encouraged to walk in righteousness dozens of times in Scripture. Add in the times we are told not to walk in sin – or are given positive and negative examples of walking/not walking in righteousness – and we’re talking probably more than two hundred commands, examples, injunctions, and encouragements. All these add up to a clear picture in Scripture: we are to be walking in righteousness, obeying the commands of God, and living in the light of His Word. I encourage you to use this list in your devotions or study and deepen your understanding of the believer’s walk of righteousness. I’ve learned my entire life – from a young child – that privileges and responsibilities go together. If you want to enjoy the privileges of a relationship, then you must take on the responsibilities of that relationship. Want to borrow the family car (a privilege)? Fill it with gas (a responsibility). This is not a perfect analogy to our relationship with God, because God is gracious and gives us amazing privileges as children of God without requiring anything of us except faith. However, I view the walk of righteousness as part of my responsibilities as a child of God. I have all the privileges, but to gladden the heart of my Father, I will cheerfully pursue a walk a faith: walking in wisdom and understanding, walking after the examples of the apostles and Jesus, walking in humility and good works. This walk of faith, this walk of righteousness, is not only my responsibility, but it is also my privilege and honor. I am pleased to pursue righteousness daily, for that makes my Father’s heart happy. And it makes me ever more committed to Him and His way. 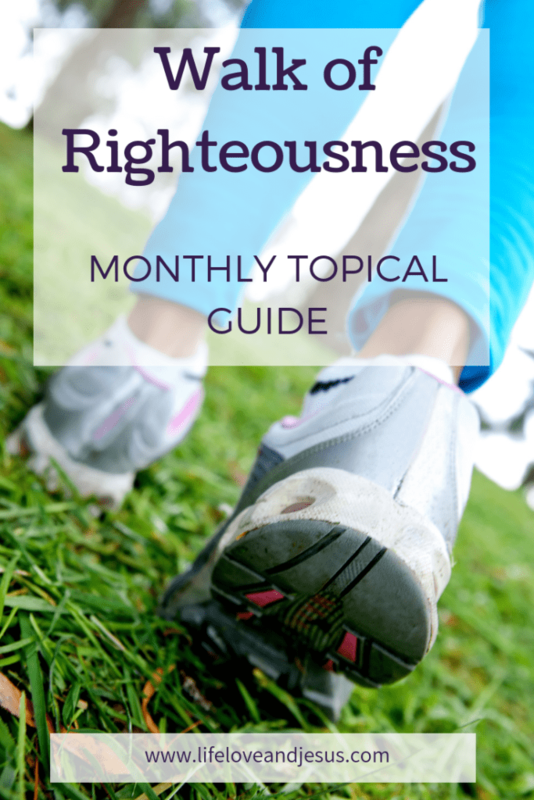 Walk the walk of righteousness – it brings eternal rewards and present blessings!